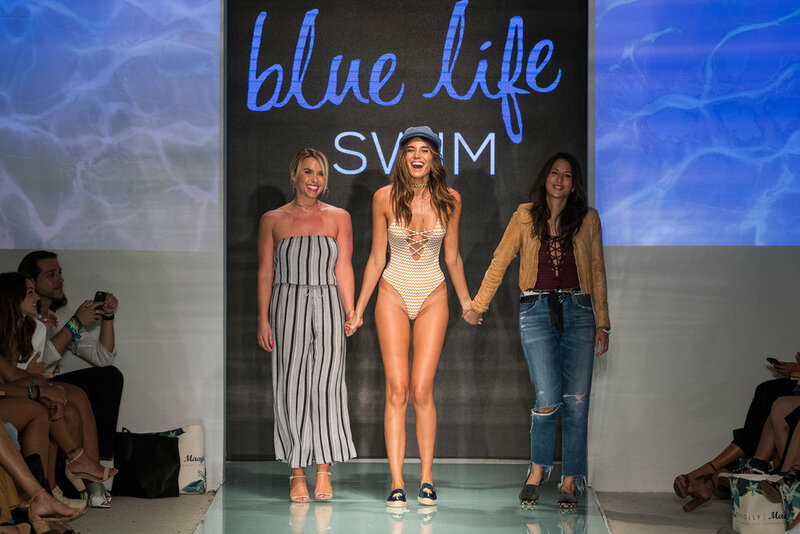 Blue Life Swim by Planet Blue showcased their 2018 Resort swimwear collection on July 23rd. The brand is known for its beachy bohemian chic aesthetic. The collection was all about the strips and cut-outs channeling the ultra-glam looks of the 90’s, taking us back to the Baywatch days. The body-hugging, plunging necklines with thigh high cuts served up some sexiness as each model strutted by. The boho feel added to the glam, giving attention to the details of each swim piece that was created! The laid back feel of the collection is what draws fashion lovers to the brand seeking their next beachwear attire. The brands swimwear makes it hard to know that summer is coming to a close, but inspires one to soak up as much sun as they can before it does. Fashion review by Tiffany Konecko of A MOM IN HAUTE PURSUIT. To learn more about Blue Life Swim check out their instagram @shopbluelife.